October 3, 1918 – While contemplating the meaning of Christ’s atonement, President Joseph F. Smith received a manifestation on the salvation of the dead and the visit of the Savior to the spirit world after His crucifixion. A report of the experience was published in December and was added first to the Pearl of Great Price and then to the Doctrine and Covenants June 6, 1979, as Section 138. October 3, 1924 – Radio broadcast of general conference began on KSL in Salt Lake City, the Church-owned station. Coverage was expanded into Idaho in 1941. October 3, 1956 – The new Relief Society Building in Salt Lake City was dedicated. October 3, 1974 – Seventies quorums were authorized in all stakes and all quorums in the Church were renamed after the stake. October 3, 1975 – President Kimball announced in general conference the organization of the First Quorum of the Seventy, and the first three members of the quorum were sustained. October 3, 1981 – A network of 500 satellite dishes for stake centers outside Utah was announced. June 30, 1830 – Samuel H. Smith left on a mission to neighboring villages, including Mendon, N.Y. where the Young and Kimball families resided. 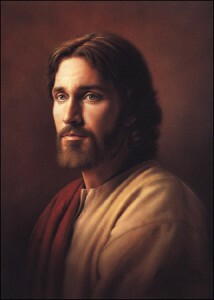 June 30, 1916 – The First Presidency and Quorum of the Twelve issued a doctrinal exposition clarifying the use of the title “Father” as it is applied to Jesus Christ.